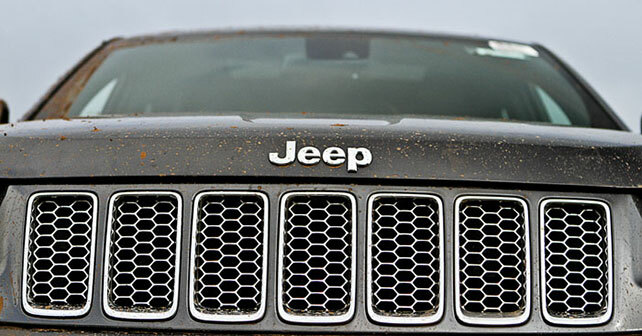 An icon makes it way back to India, as Jeep re-enters this massively competitive market. The Grand Cherokee and Wrangler will be the first to enter the ring. We wring their necks to find out more. I can’t remember one instance when the film ‘Guns of Navarone’ was telecast, and my dad didn’t want to watch it. He sat for hours in front of the TV set mumbling the dialogues as if he had written them. He smiled at the same scene, and laughed for a few minutes even after the scene had passed, as if trying to digest the joke. I never had the courage (as a child) to ask him why this film was so beautiful and why he loved it so much? I never quite understood the fascination. That 3-hour film ate into my cartoon watching time, so out of sheer frustration, with a brave face and a strong heart, I asked him the reason for his maniacal obsession and awaited the wrath I’d be sentenced to. Thankfully, he was in a jolly mood and the only thing he said was, “It’s one of the most iconic films of all time.” The line stuck with me, and having failed to understand the meaning of the term ‘iconic’ at the age of 4, I had to turn around and ask mom for another explanation. No luck. So the question remained – what exactly qualified as an ‘icon’? The meaning did seep into my brain eventually, and a couple of days before penning this piece down, I came face-to-face with the term itself. Here in front of me stood a car that’s been one of the most celebrated off-roaders in the world. The setting was World War II. This iconic vehicle changed the way people looked at cars. Jeep groomed itself as a warrior of any-and-all terrain. The name is no stranger to India, as Mahindra used to assemble these vehicles here. Years have passed, and now (through the Fiat-Chrysler Group) the brand will be revived. Jeep has got two model names already lined up for India – the Grand Cherokee, and the iconic off-roader Wrangler. I was waiting to see which car I would get to drive first, and when Dhruv called to tell me that I would be driving the Cherokee – with some off-roading later in the Wrangler – I was too thrilled to say anything. I was negotiating Mumbai roads in peak traffic – the perfect setting in which to see if the Grand Cherokee would attract attention. It does – a lot of it! The Cherokee looks absolutely stunning, and there was not a single person on the road who didn’t give it a second look. It’s got those bold, sharp lines that pierce through the flesh, and the square-shaped front end looks absolutely magnificent. I had people knocking on the window asking what car it was, and what it was priced at. A few kilometres in, and I was already feeling like a celebrity. The chassis for the Cherokee is taken from the 2012 Mercedes M-Class, and it drives like a dream. It gets a 240bhp, 3.0 litre diesel engine that’s manufactured by VM Motori, which is mated to a ZF 8-speed automatic gearbox that simply blows you away. The Cherokee gains pace extremely rapidly, but is super composed at all times – so-much-so that unless you look at the speedo, you’ll never notice the soon-to-be-in-a-jail-cell speeds that you’ve managed to achieve in a very short distance. It might be a big lump of metal, but Jeep has made it very agile and very manoeuvrable. 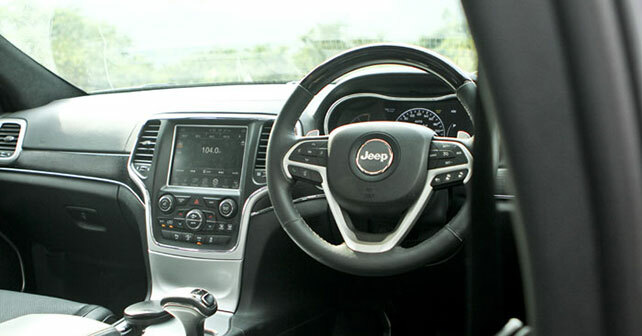 The engineering minds at Jeep have genuinely done an awesome job with the Grand Cherokee – it’s silent, comfortable, fast, and rides absolutely beautifully over any surface. Even on absolutely annihilated roads, the Cherokee is unflustered and the potholes/ditches are dismissed into nothingness. But the one party trick it’s got up its sleeve is that 8-speed gearbox. The shifts are blinding fast, and the power delivery is phenomenal. You may, at first, think that 240bhp isn’t really a great deal for an SUV of such colossal proportions, but the gearbox makes easy work of it and the entire driving experience is elevated to a higher plane. It delivers massive torque and power at the slightest hint of the accelerator being worked by your right foot. Inside, too, it’s plush and the quality used doesn’t disappoint – not too much anyway. It’s only when you start paying attention to the details that you notice the cheap fake-wood trim on the centre console and some of the small bits that just aren’t on the same level as the German competition. As far as the off-road systems are concerned, though, you realize just how similar they are to those found on a Land Rover – and that can’t be bad, can it? The Grand Cherokee gets something similar to LR’s Terrain Response System, which helps you choose between snow and gravel, mud and sand. You can toggle through whichever mode you want by rotating a knob. 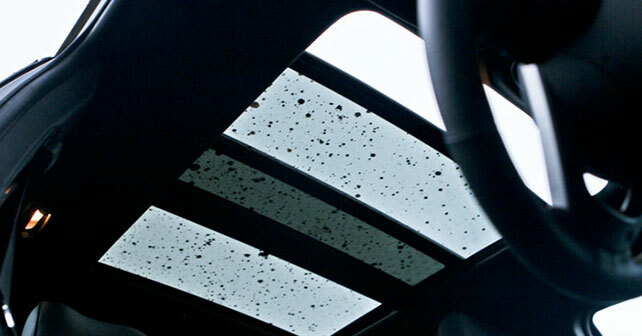 The net result is that not only have they aped Land Rover in the nature of the systems, but also – largely – in their execution, which is really very impressive indeed. It gets a full load of gizmos inside as well, like a multi purpose touch screen system, tyre tronics, and a lot more. I was so happy behind the wheel of this one that I completely forgot about the monster that Dhruv was driving. We switched cars at the off-road track, and I was transferred from a world of luxury to something more rugged and more challenging – with a manual transmission – the Wrangler Sport. It’s nothing great to look at, the Wrangler, but it’s got a lot of character. It’s immediately imposing for starters. It’s a familiar design though – most of Mahindra’s creations draw inspiration from this. There are no dramatic, swishy lines, but a very simple design. The logic behind keeping it simple is that it is designed for one thing – off-roading. The one we got was the 2-door version, which comes with the 3.6 litre V6 Pentastar petrol engine. The engine puts out 284bhp and 352Nm. It comes mated to a 6-speed manual transmission – and, of course, there’s the transfer case, which lets you choose between 2H, 2L, 4H, and 4L. Electronically lockable differentials front and rear, as well as a low ratio crawl gear takes things to a different level. The strong, body-on-frame chassis, and the height advantage ups the ante further, and makes this a serious off-roader. You can actually jump over boulders as if they weren’t even there. I was driving around the track like a jack rabbit, and had absolutely no trouble getting over even the most severe obstacles, or the deepest water crossings. The ‘Wrangler’ tyres provide you with the much-needed grip you need in the dirt, and the steering is light – making this a joy from behind the wheel. The one gripe I had was the lack of torque from this petrol engine at crawling speeds. You have to go heavy on the gas at times to keep the momentum up. You will be able to get a diesel as well though. It was an absolute delight in rocky conditions, but when I hit the tarmac, it was a whole new ball game. For the amount of poise the Wrangler demonstrates off-road, it’s a bit like a fat man doing disco on the tarmac. Ungainly that is. It’s actually not too bad at everyday speeds, but the highway is best avoided. The Grand Cherokee, on the other hand, was at home both on the tarmac and off it. It’s not quite in the same league as the Wrangler off-road of course, but it can hold its own – and that’s impressive for a full size luxury SUV. On the road, it’s simply brilliant – exciting and playful even! 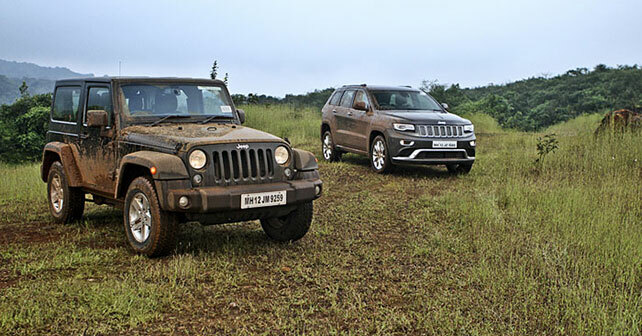 Both these SUV’s cater to a niche segment – the Wrangler for the off-road enthusiasts, and the Grand Cherokee for those who want a capable and luxurious vehicle to do it all. Both set of customers will have to shell out quite a bit to own one of these, which means that Fiat-Chrysler will have to treat prospective customers in this segment the way they’re used to being treated – extremely well that is! But they also expect (nay demand) to be looked after once they’ve put their money down – after all, it’s quite a bit of change that would be putting down to have one of these machines that wear an iconic badge.